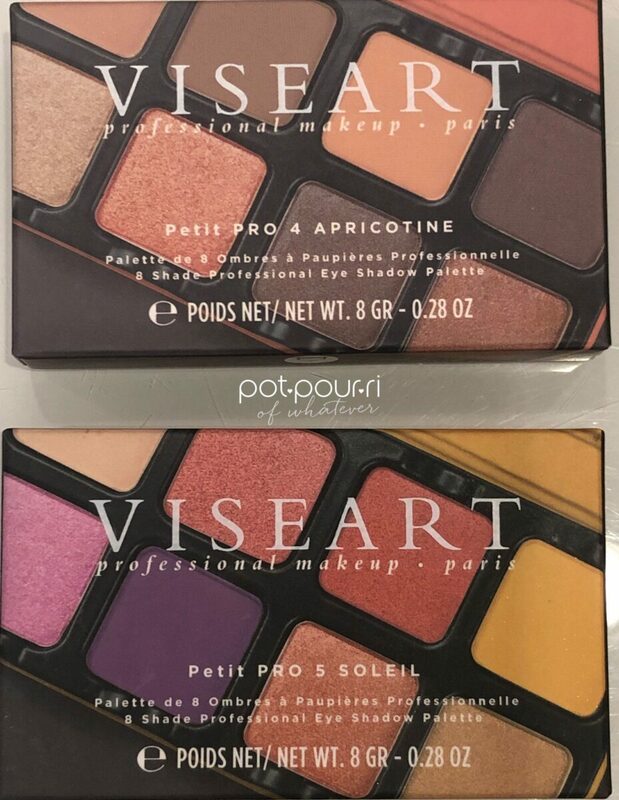 Bright colors for Spring and Summer are coming our way with two new Viseart Petit Pro Palettes. 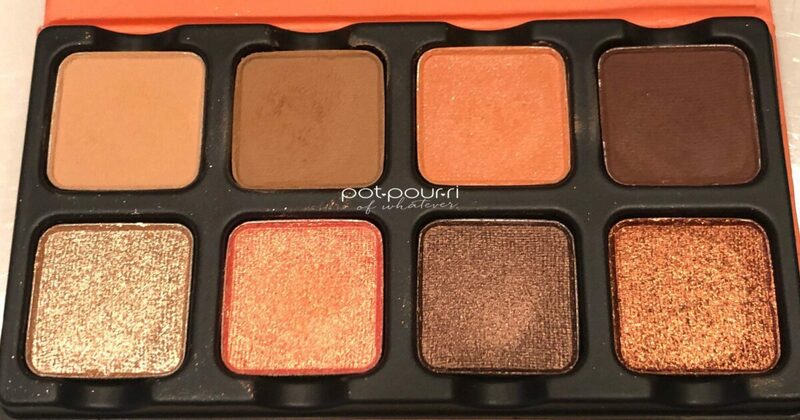 First, the Viseart Petit Pro #4 Eyeshadow Palette, Apricotine, is a Spring/Summer neutral Palette. For example, Apricotine has peach, melon, and apricot neutral shades. 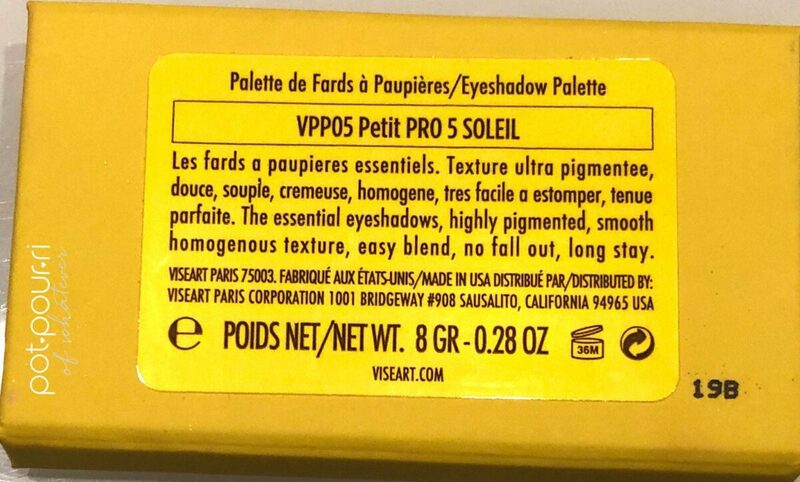 Second, Viseart Petit Pro #5, Soleil, has the fun, bright colors for Spring/Summer. For example, Soleil has purple, violet-blue, yellow-gold, and terracotta shades. Furthermore, the two Viseart Petit Pro Palettes are about the size of a credit card. As a result, these palettes are travel worthy. Viseart is becoming more well-known, and more popular in the US. To begin with, Viseart is a brand that comes from Paris. First, Makeup Artists used Viseart Palettes for French television, and films. The palettes’ pigment-rich shades, have created thousands of camera-ready looks. 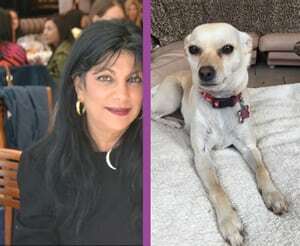 Now, Viseart isn’t exclusive to makeup artists, even though makeup artists everywhere love the brand. Now, we can find the high quality palettes in the United States. One thing I love is that Viseart Palettes are curated with shades to create many different looks. 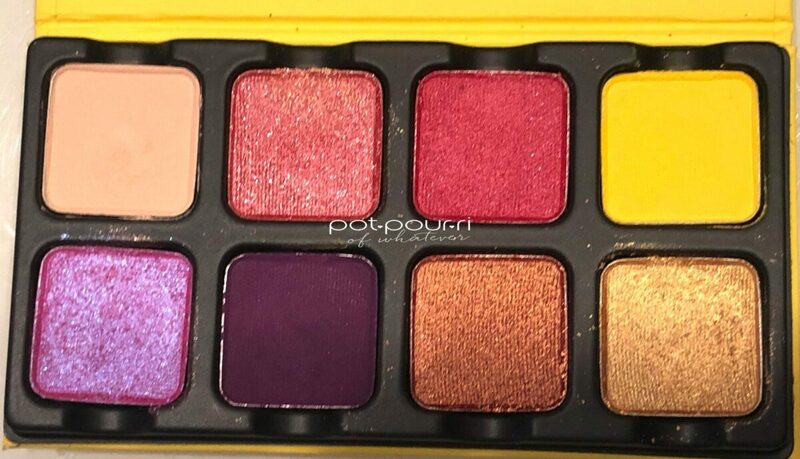 For example, The Viseart Libertine Eyeshadow Palette features 9 unconventional shades for nonconformists, rebels and free spirits. Moreover, all of the Viseart palettes are curated so that the shades work well together. 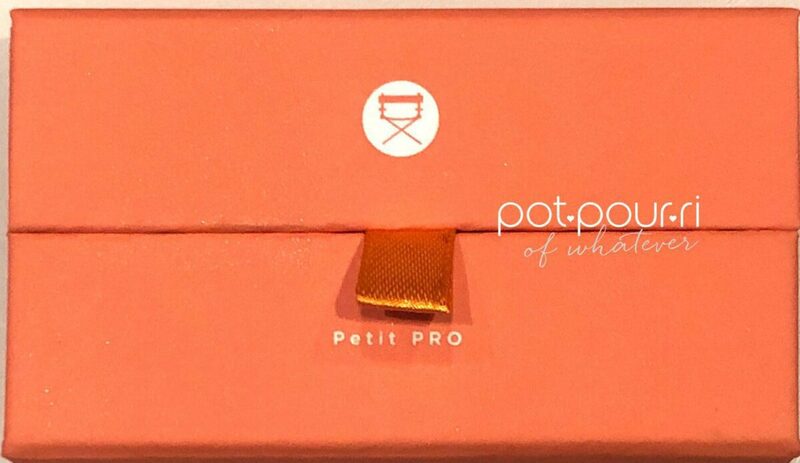 The New Petit Pro Palettes are universal, so they will look good on everyone. Finally, both palettes are perfect for your every day looks, and your date, diva and disco nights. 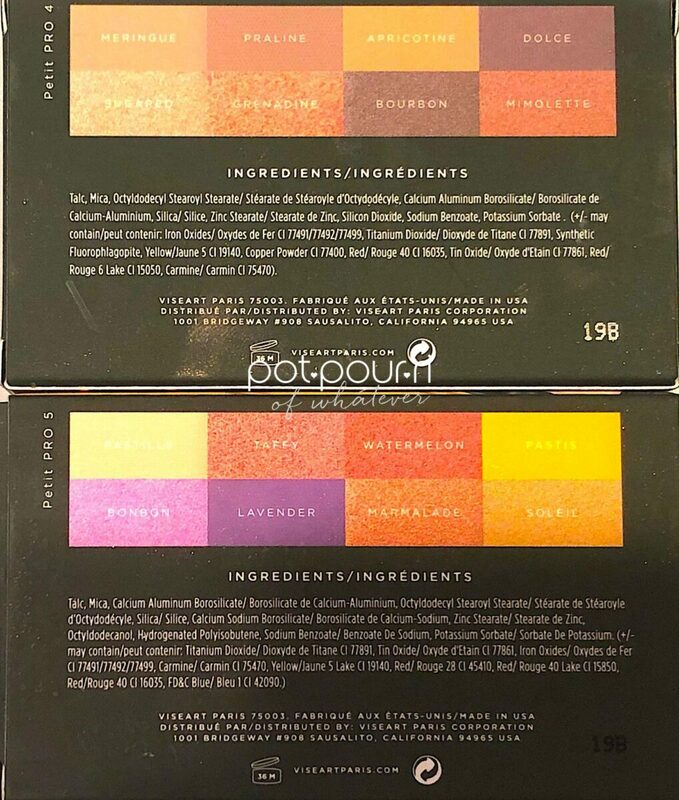 You can find the Viseart Petit Pro Palettes #4 Apricotine, and #5, Soleil, at Sephora, and on Beautylish. Each palette retails for $30. You can get one, or you can get the bundle for more spring and summer looks. The bundle retails for $60. To begin with, I love that the packaging is colorful. 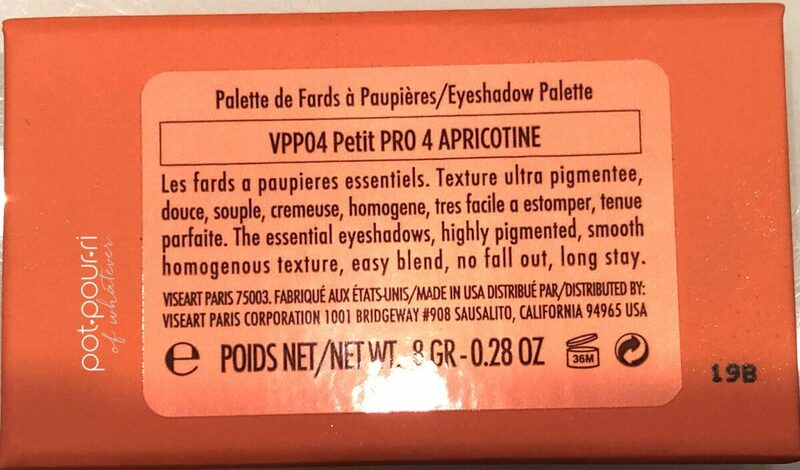 First, Petit Pro #4, Apricotine, is a bright soft apricot shade. Next, #5, Soleil, is a bright yellow shade. Plus, the very petit, credit card sized palettes are adorable. Furthermore, a waxy, cardboard creates the palettes. 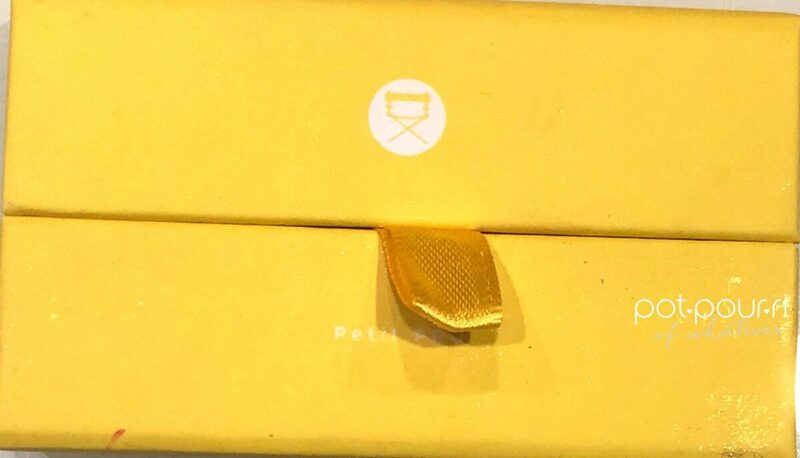 Moreover, the palettes have a magnetic closure. A ribbon is there, to open the palette, you need to pull back the ribbon. As a result, the palette folds open. Also, the palette has a full-width mirror. Furthermore, Viseart Petit Pro Palette shadows are approximately 3/4 the size Viseart full-sized Palette shadows. As a result, the palette is more cost-effective. This is because, the large Viseart Palettes are muy expensivo. To start with, the Viseart eyeshadow Proprietary Formula has a cult following. Hence, Makeup artists love this brand. Furthermore, Viseart fuses natural ingredients with innovative technologies to create their pigment-rich palettes. Moreover, , the shadows feel like butter. As a result, they are easy to blend. Triple milled pigments create both the matte and shimmer shadows. As a result, the triple milled pigments create intense, long-wear, color payoff. My only complaint is a lot of powder kicks up in the palette. Therefore, I recommend you use your fingers to apply the shimmers. Last, use the shadows wet or dry. To start with, Merinque, a light warm toned brown shade, that has a matte finish. First, you can wear Merinque as a base for your other colors. Also, for a really light day look, wear Merinque on your eyelids. Next, Praline, a medium, warm-toned brown shade that has a matte finish. Praline is perfect to wear in your crease. Also, line the bottom of your lash line with Praline. Last, I like Praline on the outer lid, and corners of your eyes. Third, Apricotone, the palettes namesake, is a soft, apricot shade with a matte finish. I love Apricotine on the eyelids, and up in the crease. Also, I like it on your lower lashlines. Also, you can wear it above your crease, on the outer edge of your eyes. Fourth, Dolce, an espresso brown shade with a matte finish looks great in your outer corners. Also, I like Dolce as a n eyeliner, for your upper and lower lash lines. Then, Sugar, a frosted champagne shade with a shimmery finish looks amazing on the inner corners of your eyes. Also I would use Sugar to highlight under your brow bone. Furthermore, mix champagne with a matte shade to give it a sparkle. In addition, Grenadine, an iced melon shade, that has a shimmery finish. I like Grenadine on my eyelids. Also, use it as a transition shade. Finally, I would use it above the crease. Bourbon, a deep bronze shade that has a shimmery finish. Bourbon looks gorgeous in your crease. Also, I like it on the outer corners of your eyes. In addition, for a monochromatic look, wear Bourbon on your eyelids, and as an eye liner for your lower lash line. Mimolette is a burnished orange shade with a shimmery finish. Mimolette looks beautiful on your eye lids,or above your crease. I also love it on the outer edges of your eyes. Let’s start with Pastille, a warm-toned taupe shade that has a matte finish. Since this is the lightest shade, and most neutral, I would use it as a base shade on your eyelids, or all over your eyes. Next, Taffy, an iced cherry blossom shade that has a shimmery finish. First, wear it all over your eye lids. Also, I love Taffy above the crease, on the outer corner of your eyes. Then, I would use Watermelon, a medium-toned, red shade with a shimmery finish, in your crease, on the outer corners of your eyes, and use it to line your lower lash lines. In addition, Pastis, a medium, warm-toned citron that has a matte finish. Wear Pastis in the inner corners of your eyes, or as a highlighter, on your brow bone. You can use it on the inner eye lids, with another fun shade on your outer eye lids. First, Violet, an iced violet blue duo-chrome has a high shine finish. I love it on my eyelids, and up to and including my crease. It’s a gorgeous shade! I can’t wait to wear it!!!! Next, Lavender, a Byzantine purple shade , that has a matte finish. I love Lavender as an eyeliner. Also, wear it on the outer corners of your eyes. Also, wear it in your crease. Then, I would add more definition, by adding more above the crease, from the pupil to the outer corners. In addition, Marmalade, a terra cotta shade that has a shimmer finish. Marmalade is a great shade to wear on your eyelids. Also, I would line my lower lash line with Marmalade. Also, it can be used as a crease shade. Finally. 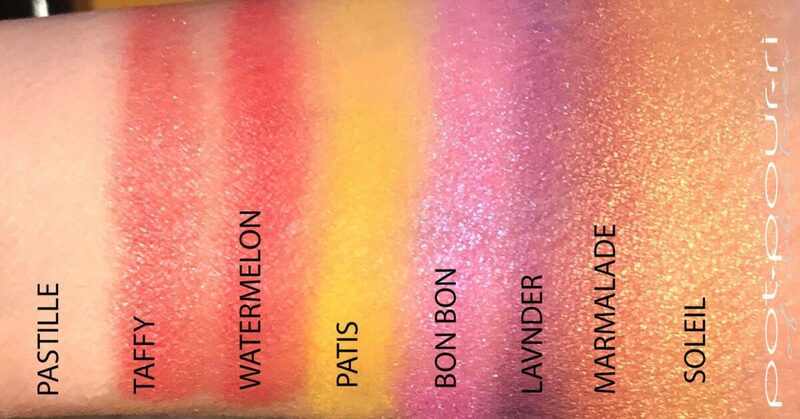 Soleil, the Palette’s namesake, is a yellow gold shade that has a shimmery finish.I like /soleil as a highlighter, under my brow bone, or on the inner corners of my eyes. Also, I like Soleil worn on my eye lids. Last, I would line my lower lash lines with Soleil. 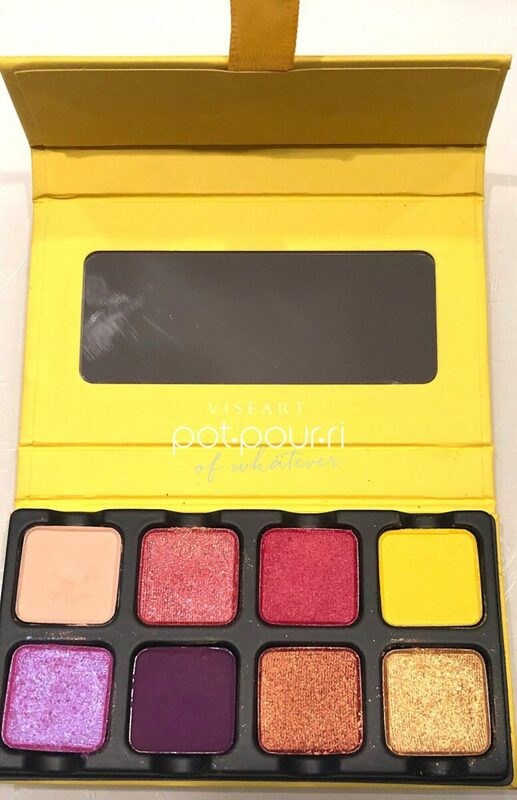 Viseart Petit Pro Palettes Last But Not Least….. I love these two palettes. The Spring/Summer shades are refreshing, fun and bright. The packaging is adorable. Above all, these are professional palettes . They may look small, but they pack a big punch! And, you’ll get professional looking results. Finally you can apply the shadows wet or dry. Additionally, you can use your fingers. However, your standard sized brushes will work amazingly well with the petit pans. 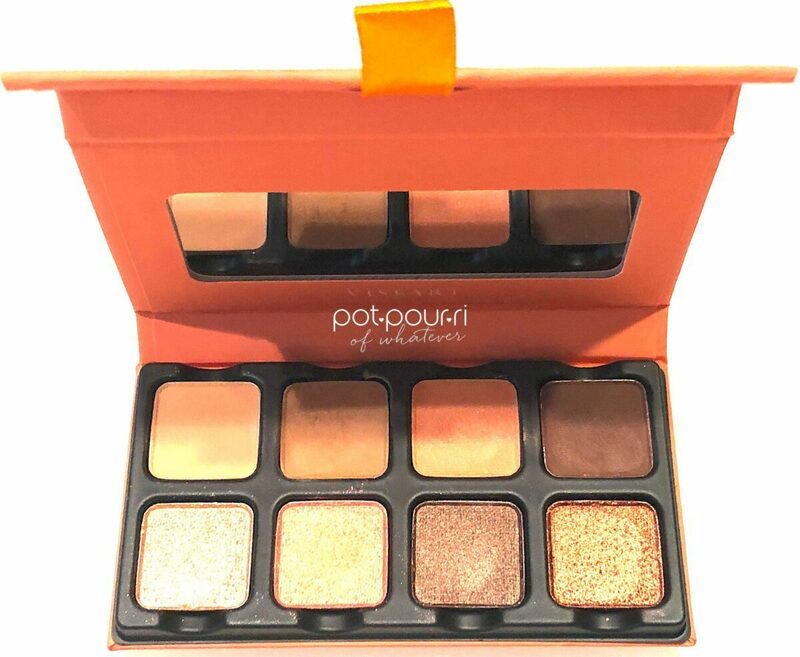 I’d love to hear what you think of these new Petit Pro Palettes. Please let me know in the comments below!